Probably you have already guessed from my video (posted in my FB account) what next I am going to share in my blog. 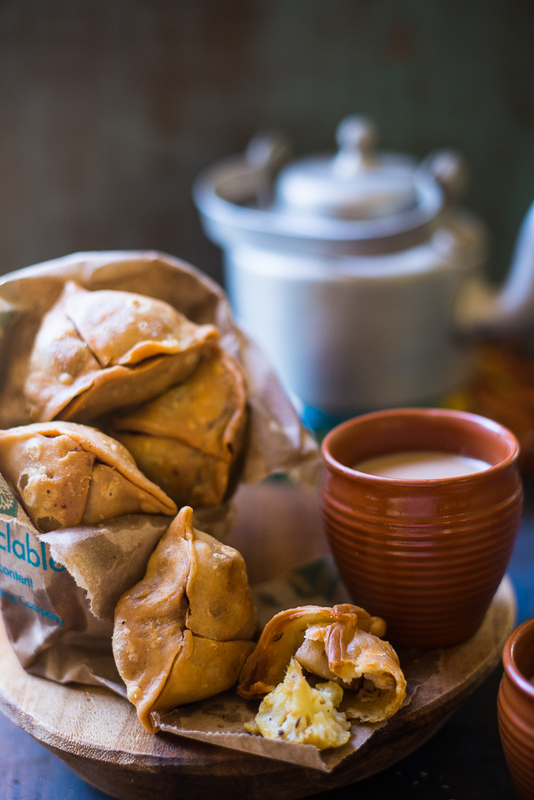 Yes, I will tell you today about how we can make India’s most favorite snacks called Samosa. What is known as Samosa in rest of the India, called Singara in Bengal. Singara, chai and Muri are still the menu in many houses in the evenings, especially during rainy days. Even in abroad, Samosa is very well-known Indian dish among non-Indians. While I was searching about the origin of Samosa in India, got surprised to know that it came from middle east through the traders from this region. That’s why similar dish with different stuffing is available in middle eastern countries. 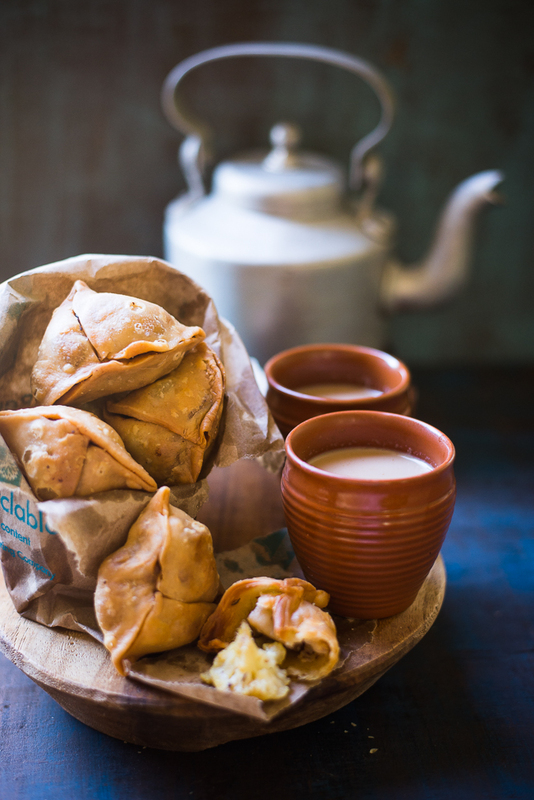 Bengali Singara is little different from samosa. 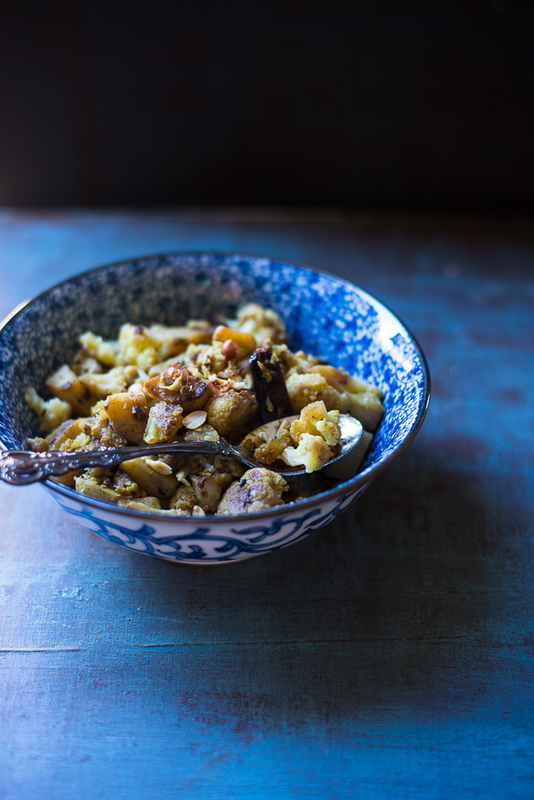 It uses potatoes, peas and cauliflower, sometimes peanuts for a little crunch. I think Singaras are easy to make, but some of my friends may not agree. To them the most difficult part is the folding of singara. That’s why I wanted to help you by posting the video online. What differentiates Singara from its siblings is flaky textures of the outer cover. It takes long hours of practice to get the perfect texture of Singara. After repeated attempts I have now started getting the texture as flaky as Kolkata's Singara. 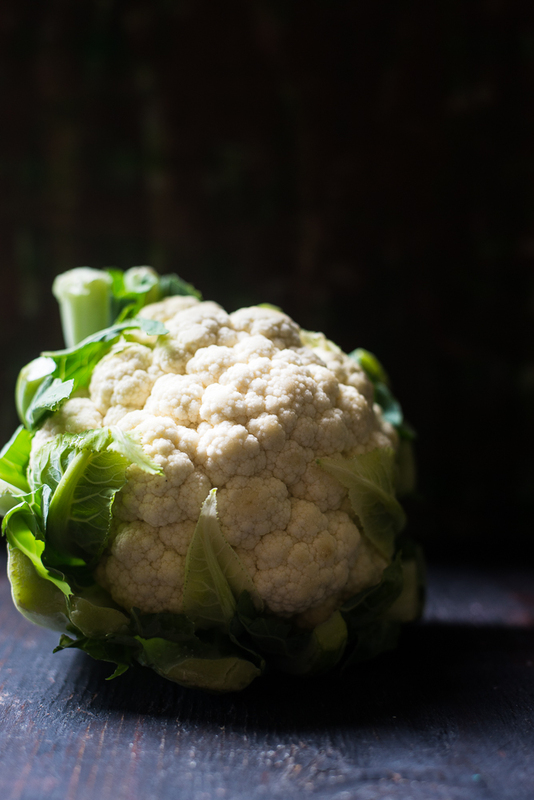 Though there are different kinds of Singaras, the most common one is Fulkopir (cauliflower) Singara. Since Bengalis can never keep anything vegetarian, they made Singara also non-veg by putting chicken as stuffing. Surprisingly there is no fish Singara. In Kolkata's sweetshops, you also find a sweeter version, filled with khoya and dipped in sugar syrup. I will share today the recipe of Fulkopir singara. So friends, please try my version and let me know if you like it. 1. To make the filling, first , boil some water in a saucepan. Add the cauliflower florets and potatoes and peas to it. Cook them for 3 to 4 minutes. 2. Heat 2 tablespoons oil in a pan, once oil is hot add cumin seeds and the whole red chili. When it starts to splutter, add the cauliflower florets , potato cubes, and peas. Add the roasted peanuts and stir it well. Add grated ginger, turmeric powder, cumin powder . Keep Stirring. Add salt. Once vegetables are well cooked, add the bhaja masla. Mix it well. Turn off the heat. 3. Take a big mixing bowl, add the flour to it. Add ghee to flour and mix it nicely with your hand. Add salt and sugar and mix it again. Add cold water to the flour mixture, add little at a time and knead it into a stiff dough. Cover the dough with a damp kitchen towel and keep it in the refrigerator for an hour. 4. Take the dough and knead it again for 2 to 3 minutes. Divide the dough into 12 to 15 big lemon sized balls. Apply oil on your clean kitchen counter top and start rolling it into an oblong shape. 5. Cut each oval into two halves. 6. 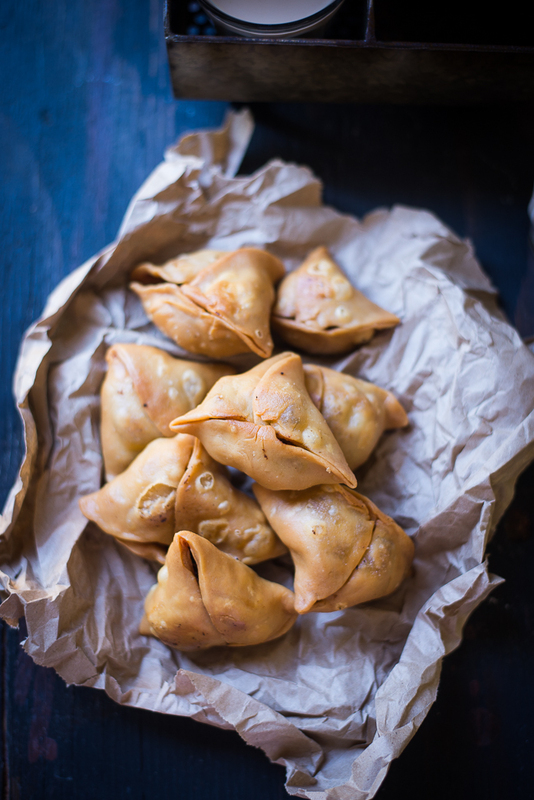 ( the 6th step and the 7th step are how to fold the samosa , I have made a video of it , you can follow it) Take half part of the oval and make it a cone. Seal the edges with water. 7. Take a tablespoon stuffing and fill the cone. Seal all the edges by pressing it gently with your fingertips. The shape will look like a triangle. Repeat the process with the rest. 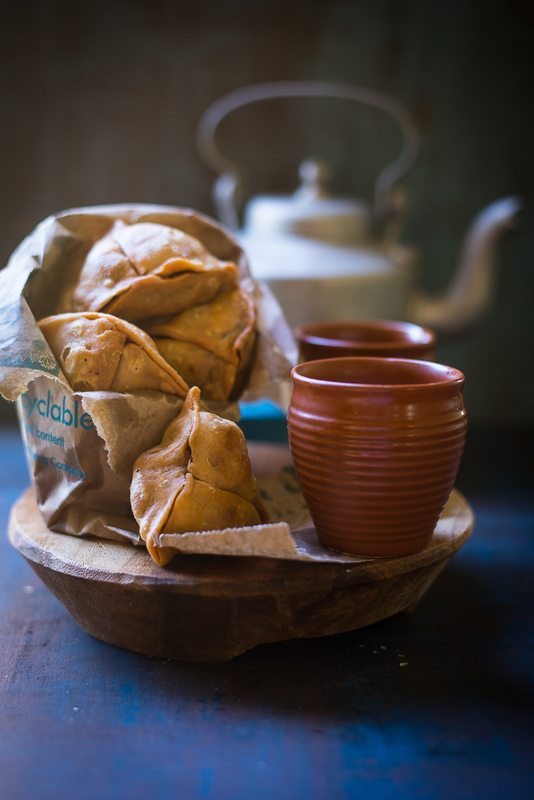 Make sure the temperature of the oil is low enough when you add the next batches of samosas. 9. 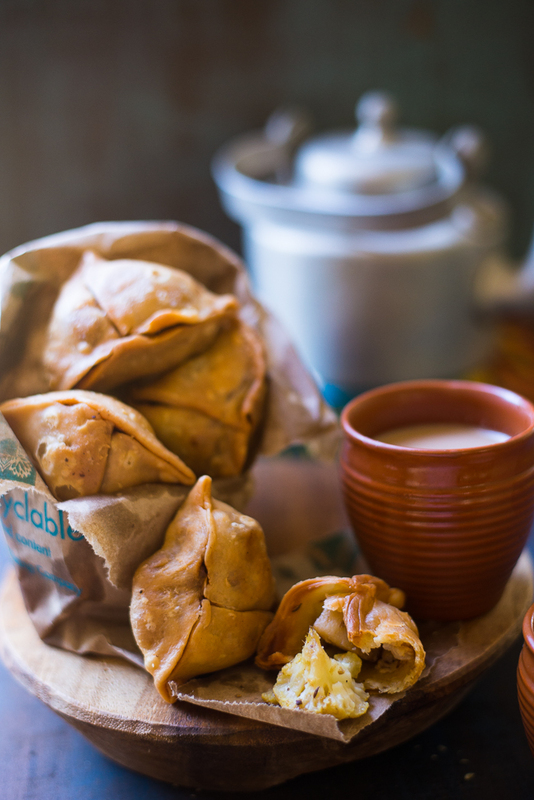 Drain Samosas on a kitchen towel to absorb the excess oil. Serve hot with a cup of tea.